Staff and customers at Lincolnshire Co-op have smashed their previous record, raising £143,362.98 for the society’s Charity of the Year, Alzheimer’s Society. From ice-bucket challenges and dress-up days to bake sales and raffles, colleagues from every part of the society have boosted the total by an average of £2,757 every week in 2014. At City Square Post Office in Lincoln, colleagues held an Easter treasure trail and wore homemade Easter bonnets, raising £130. 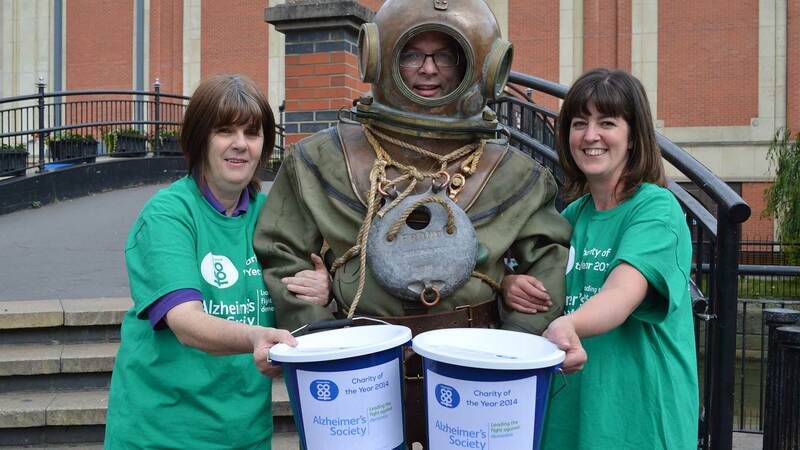 Later in the year, City Square Food Store Manager Phil Goddard raised £1,170 after walking a mile in an old-fashioned deep-sea diving suit. Colleagues Andrew Turner and Roger Brown from Head Office in Lincoln spent 12 days cycling from Land’s End to John o’Groats, a distance of around 1,000 miles. 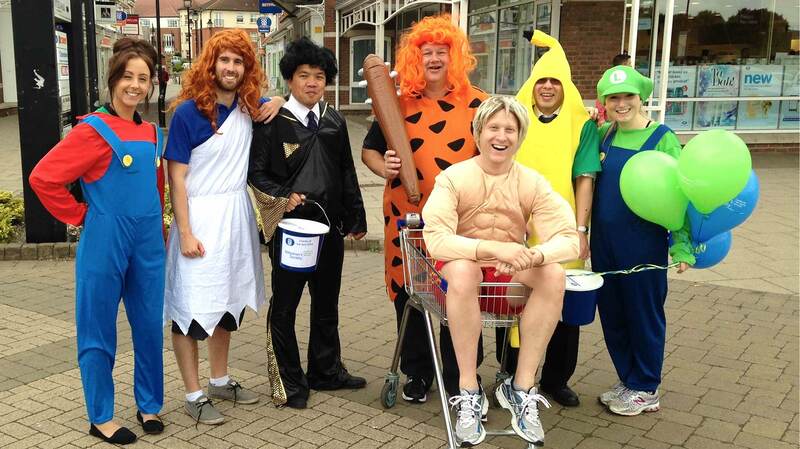 They raised nearly £7,000 as part of Lincolnshire Co-op’s Miles for Memories challenge. 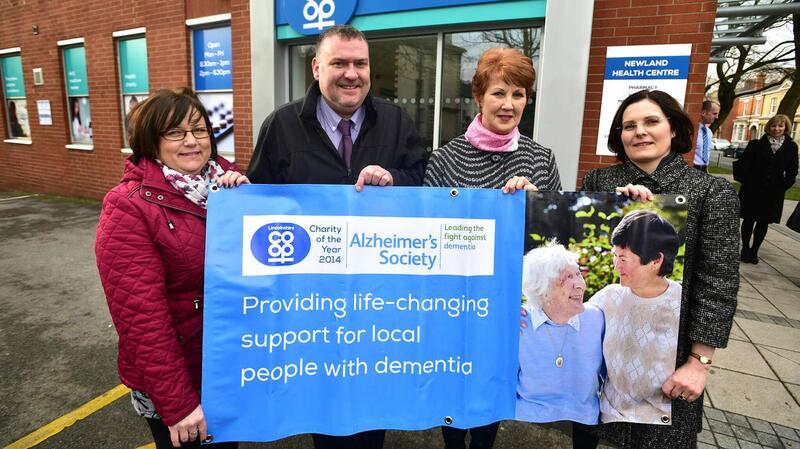 Customers have also raised thousands of pounds buying Alzheimer’s Society forget-me-not pin badges in Lincolnshire Co-op’s outlets. Staff members society-wide have contributed nearly £1,500 by donating the odd pence of their wages to the Charity of the Year, while Salvation Army clothing banks in food store car parks have added £15,000 to the pot. Meanwhile, Lincolnshire Co-op’s Miles for Memories challenge which took place during Co-operatives Fortnight last June saw colleagues raise over £10,000. Lincolnshire Co-op’s Head Office staff from left: Becky Halliday, Ben James, Chris Bautista, Tom Whittock, Richard Whittaker, Will Ngao and Danielle Martin before their charity relay. The money raised will fund life-changing dementia support through Dementia Support Workers for hundreds of families in local communities. As well as providing services including day care and home care for people with dementia and supporting partners and carers, Alzheimer’s Society is keen to create a more dementia-friendly community by training one million Dementia Friends. Alzheimer’s Society Services Manager for Lincolnshire, Nasim Minhas, added: “We want to say a great big thank you to staff and customers of Lincolnshire Co-op whose amazing generosity has funded Alzheimer’s Society Dementia Support Workers for the area. What will Lincolnshire’s property market look like in 2015?